Visit one of our beautiful wineries! Below is a list of Questions and Answers regarding our service. Feel free to contact us at anytime! Yes! 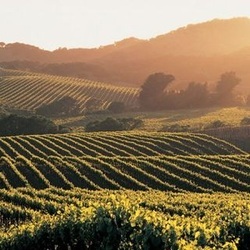 We deliver and set up to most locations within a 1 hour radius or up to 50 miles from Paso Robles, California. Delivery areas may change depending on time of year or season. Delivery to areas further than 1hr may be considered, call office for details. Delivery fees will apply. Only LOCAL delivery is included in the rates shown on this website, which includes up to 10 miles from Downtown Paso Robles. SORRY, WE DO NOT DELIVER OR ALLOW HAULING TO THE PISMO DUNES! Call LUV 2 CAMP for Pismo Beach location delivery info. We are the only permitted business to operate inside the State Parks San Luis Coastal District. Call for details. DELIVERY TIMES ARE NOT GUARANTEED AND ARE BASED ON OTHER TRAILER DELIVERIES, TRAFFIC, WEATHER, OR UNAVOIDABLE DELAYS. WE TRY OUR BEST TO GET UNITS DELIVERED BETWEEN 2 PM - 5 PM. EARLY ARRIVALS DO NOT PREDICATE EARLY DELIVERIES. IF YOU PLAN TO ARRIVE IN THE AREA OR CAMPSITE BEFORE WE CAN GET THE UNIT DELIVERED, PLEASE TAKE IN THE SURROUNDINGS, GRAB A BITE, AND BE PATIENT. When should I call to reserve? Go to "Contact Us", fill in your info and hit send. * Or just give us a call at (888) 898-CAMP (2267), please leave a message if we are not available to answer your call. We may be delivering our RV rental to another happy camper or on the phone making another reservation. * We will email you a Rental Agreement. * Review the document, then sign and return. * Fax or email it to the numbers listed on the agreement. * A $500 security deposit will be required to hold your reservation. *We will ask you to provide a reservation deposit of 50% at time of reservation if 30 days or less until your arrival date. Balance due one week prior to delivery. * We reserve the right to refuse service to anyone and will not be responsible for accidents and/or injuries to its customers and/or guests. Once trailer is delivered, under no circumstances may the trailer be moved. We have commercial insurance for the trailers. We do not allow self hauling. * If you must cancel for any reason, the $100 Non-Refundable Reservation fee is forfeited. If you choose to use our "Re-Scheduling Policy" the $100 Non-Refundable Reseravation Fee may not be used towards the "Re-Scheduling Policy" fees. Inquire with the Reservations Office for further details on Cancellations and Re-Scheduling. * Forfeiture of 1/2 of the paid reservation will result if cancellation is not made prior to 30 days of check in date. If canceling with less than 7 days notice, all of the nightly rents reserved will be charged to the credit card on file. Please ask about our RESCHEDULING POLICY. We accept VISA, Mastercard, American Express, and Discover credit cards for making easy deposits or paying for your entire rental experience. Personal checks may be accepted and must be received within 5 days of Rental Agreement being received by us. Checks will be deposited. Call for details. When do I need to pay for my RV rental reservations? We require at least 50% of rental fees to hold your reservation if within 30 days from your arrival date. The balance is due 1 week prior to scheduled arrival date. We accept Cash, Bank Cashier's check, or credit cards. We accept VISA, MasterCard, AMEX,or Discover cards any time. Payments may also be paid ahead of time if desired. CALL (888) 898-CAMP (2267) for any reservation and payment questions. What is my deposit used for? Your $500.00 deposit is used to secure your reservation and is held for damages caused to the RV while in your possession. The deposit may also be used to cover cleaning if the RV was not returned in the same condition it was delivered in. If upholstery is stained or damaged, we will use your deposit to cover the cleaning charges or insurance deductible. Will you credit back the deposit to my credit card? No. We will send you a check for any refunded deposits (if applicable). We have up to 5 days to inspect the unit for damages. Your deposit will be held by credit card pre-authorization. Damages, cleaning fees, entry fees, and propane refills may be secured via credit card on file. If deposit is secured via credit card, your pre-auth will fade off within 7-10 days. Can we bring our PET camping? We love PETS as well and think they are part of the family. BUT, they can be little destroyers in a trailer. If you would like to camp with your pet, please disclose this information when making a reservation. We ask that you keep them in a crate or pet bed and always on the floor. Never leave them unattended inside the trailer. They are not to sleep or play on couches or beds. Clients are limited to one medium sized dog. All resort pet rules must also be followed. Thank you. Bedding, Food, Drinks, Ice, Camping Chairs, Games, Firewood. Look at the list under each trailer in the "Our Fleet" section tab. It provides a list of items provided or not included in your rental. What do the trailers come with? Each trailer comes with a basic supply of kitchen and cookware. This includes eating and serving utensils, dishes, coffee cups, coffee maker w/filters, cleaning products, broom & dust pan, floor mats, outdoor area mat, clean fitted sheet for queen bed. No other linens or pillows are supplied. They do not come with on board generators. We have a limited number of 2000 watt generators for rent. You can always call Oasis Equipment Rental in Morro Bay or Los Osos for generators too. Do you rent hauling equipment? No. We no longer allow self hauling. Yes, we only rent 2000 watt generators, supplies limited. If you would like more power to run the air conditioning, you will need to rent or bring a generator that has at least 3000 watts or more. Call (888) 898-2267 for pricing and details. Try Oasis Equipment Rentals in Morro Bay or Quinn & Tayler Equipment Rentals in Paso Robles. They may have larger generators. Do I need to bring cleaning supplies, paper towels, & toilet paper? No and no. We supply everything you will need to wipe down all surfaces and return the unit back to the way you received it. We supply RV type toilet paper with each rental. This type will break down easier and help to prevent clogging. 1-4pk is supplied with each rental. 2-pks if your staying for a week or more. Each unit comes with at least one roll of paper towels. A broom & dust pan will be there too. Thanks for asking! We have many other popular locations in California, Arizona, & Idaho. Click the logo for more details.